Looking to track down a good time this weekend? The County of Los Angeles Department of Parks and Recreation is presenting “The Newhall Model Train Show” on Saturday and Sunday in Hart Hall in William S. Hart Park in Newhall. 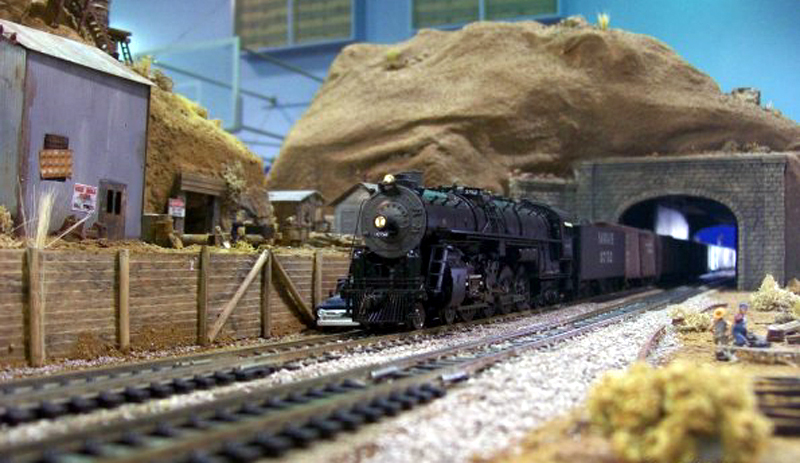 The High Desert Modular Model Railroad Club is a group that promotes this fascinating and diverse hobby in the Antelope Valley region of Southern California. Don’t miss a thing. Get breaking news alerts delivered right to your inbox They will present their HO scale model railroad layout at Hart Hall, where visitors will see many passenger and freight trains passing through various California scenery including city and old-time logging yards and countrysides. There’s even an old Western town. Hours are 10 a.m. to 5 p.m. on Saturday and 10 a.m. to 4 p.m. on Sunday. Admission is free and the exhibit has something for all ages. William S. Hart Park/Hart Hall is located at 24151 Newhall Ave., Newhall.